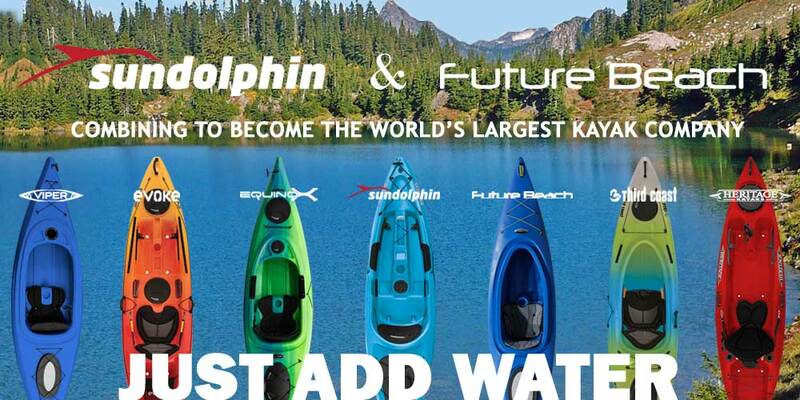 KL Outdoor, maker of Sun Dolphin kayaks, and GSC Technologies, maker of Future Beach kayaks, will combine to form a single company, with the brand recognition, design talent and industry expertise of two leading players in the paddle sports products industry. “The merger will create the largest kayak company in the world,” said Mark Becker, partner at Boca Raton-based private equity firm New Water Capital, L.P.
Affiliates of New Water Capital completed significant investments in KL Outdoor in December 2016 and GSC Technologies on April 7, 2017. The merger is expected to result in a company with increased capacity to accommodate fast growing customer demands, a broader product offering and brand portfolio, strengthened financial standing and multiple product shipping points. “The combination will create, we believe, the only vertically-integrated kayak manufacturer with rotational molding, thermoforming, and blow molding technologies as well as injection molding capabilities,” Becker said. “We see tremendous benefit to our customers, vendors and employees through the combination of the two companies,” said Tom Harris, KL Outdoor president. “Our two companies are a natural fit, with products and areas of expertise that complement one another and provide a tremendous opportunity to expand into new product lines in the rapidly growing outdoor water sports market,” said Robert Farber, GSC president. Muskegon-based KL Outdoor manufactures kayaks, stand-up paddle boards, canoes, paddle boats, hunting blinds, sleds and portable restrooms and related accessories under the Sun Dolphin, Evoke, Extent and Third Coast (all related to the company’s watersports segment), Terrain (outdoor hunting products) and Five Peaks (portable restroom products) brands. KL Outdoor sells products to a diverse, blue-chip customer base across North America for the watersports business and globally for the outdoor events business segment. Montreal-based GSC Technologies manufactures kayaks and paddle-craft under the Future Beach, Equinox, Patriot, Heritage, and Viper brands. Additionally, GSC produces branded storage and outdoor furniture products. Company production facilities are located in the U.S. and Canada. GSC brands are carried by leading, blue-chip mass and specialty sporting goods retailers. The companies will be immediately offering their combined product portfolios and manufacturing capacity to key customers. Further information related to the merger will be communicated to their key business partners in the near future.